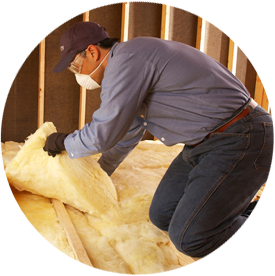 At Marshall Insulation, we are committed to making your home as energy-efficient and comfortable as we can. In conjunction with our energy audit service, we provide duct repair services in the Phoenix and Tucson area. Ducts are extremely important—they move hot and cold air throughout your home. Supply ducts bring heated or cooled air to your rooms, and then the return ducts bring air back to your air conditioner or furnace. Broken or leaky ducts lose air as they transport it, which forces your HVAC system to work harder and longer. This not only makes your home less comfortable—it takes money out of your pocket and wastes valuable energy. 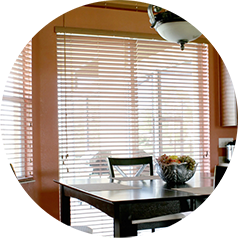 It also can lead to poor indoor air quality, as leaks give an entry point for pollutants and allergens in the air. Contact us today here to schedule duct repair service in Phoenix or Tucson or to ask any questions you may have. Damaged or broken ducts. The air that escapes drastically reduces the efficiency of your HVAC system, and this is where allergens or pollutants can enter. Poorly sealed or totally unsealed ducts. Again, this causes a loss of air—before it even reaches your rooms! Un-insulated or under-insulated ducts. Insulated ducts protect the air that has already been heated or cooled in your HVAC system from escaping. Loose or disconnected joints. This is yet another way air can escape from your ducts. It’s simple: leaking ducts cost you in efficiency and money. Start saving energy and money and call the certified, experienced team at Marshall Insulation to schedule duct repair or an energy audit for your home in the Phoenix or Tucson area.